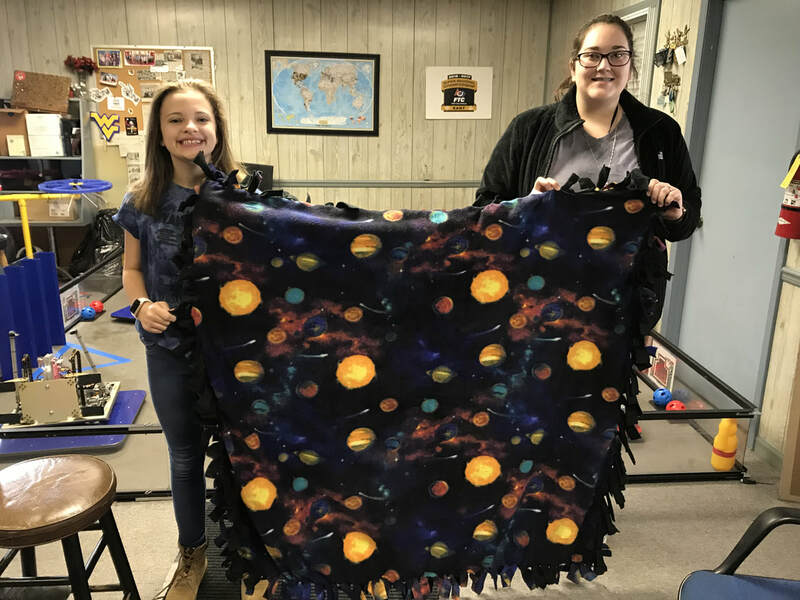 Robo Snuggies are STEM themed fleece blankets that we make and donate to local children's hospitals. We have several team members and siblings that have/had serious illnesses and spent time in Children's Hospitals. All of them have expressed how the small things (a book, blanket, or movie) made the biggest positive impact on their hospital stays. So we started thinking about what we can do to make children's lives a little better while their in the hospital and that's how we came up with Robo Snuggies. ​snuggie for a child in a local hospital.